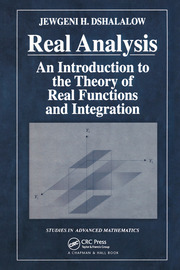 Based on the authors’ combined 35 years of experience in teaching, A Basic Course in Real Analysis introduces students to the aspects of real analysis in a friendly way. The authors offer insights into the way a typical mathematician works observing patterns, conducting experiments by means of looking at or creating examples, trying to understand the underlying principles, and coming up with guesses or conjectures and then proving them rigorously based on his or her explorations. With more than 100 pictures, the book creates interest in real analysis by encouraging students to think geometrically. Each difficult proof is prefaced by a strategy and explanation of how the strategy is translated into rigorous and precise proofs. The authors then explain the mystery and role of inequalities in analysis to train students to arrive at estimates that will be useful for proofs. They highlight the role of the least upper bound property of real numbers, which underlies all crucial results in real analysis. In addition, the book demonstrates analysis as a qualitative as well as quantitative study of functions, exposing students to arguments that fall under hard analysis. 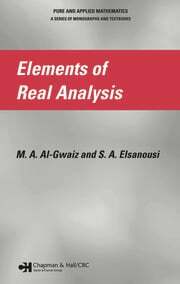 Although there are many books available on this subject, students often find it difficult to learn the essence of analysis on their own or after going through a course on real analysis. 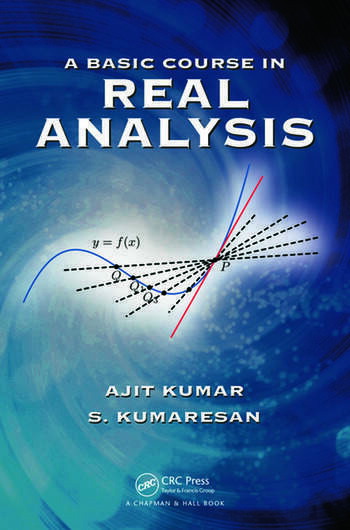 Written in a conversational tone, this book explains the hows and whys of real analysis and provides guidance that makes readers think at every stage. "… there are some unique features that put this book aside. … a welcome addition to the library of teachers and student alike." "… this book describes the basic results of analysis in an extremely clear, straightforward, and well-motivated way. … if you’re looking for a text on the easy end of the spectrum for a course in real analysis, then this book is certainly worth a serious look …"